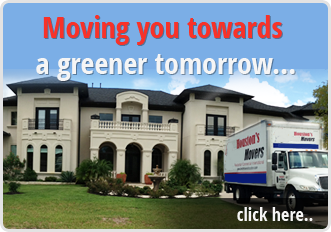 Moving Companies Houston, Houston Best Movers Inc.
Houston Best Movers is Houston’s number 1 moving company. It’s a place we take amazing pride in since it came about through genuinely pouring the customers like absolutely any other van line in the market. It’s a place that we keep because we understand our customers believe only the best and that is good, since that’s what we should anticipate of ourselves. The Best Moving Company in Houston !!! Houston Movers contains a proven history of effectively relocating home owners and businesses all around the state and nation. We are enriching with first class experts with several years of experience in the moving and transport sector. We are been qualified in the newest moving and relocation techniques and work with the most advanced equipment to date. We go the extra mile to make sure your possessions are guarded and safe during the moving process. Our packing materials are high quality and meet all industry standards to keep your prcious items safe and intact. We are always searching for outstanding professionals that can flourish with a collaborative, busy, and entrepreneurial atmosphere. Houston Best Movers is growing and developing and expanding our work radius every year. Our employees are our greatest advantage – and we operate collectively to build new remedies which make moving things simpler and much more effective. Check out our web page for more information about our goal. We’re continuously screening and retesting items, procedures and presumptions. This development and testing is what is constantly improves and enhance the overall performance of delivery and transportation every day and help retain our reputation as one of the leading moving companies in Houston.